FindIPv6.com provides tools & convertors for IPv6 Addresses. Originally we uses a 32-bit number known as Internet Protocol Version 4 (IPv4). This protocal is stull used today. However, there are limits. Due to the enormous growth of the internet we reach the limits of thouse addresses. A new protocol IPv6, using 128 bits for the address, was developed and standardized by RFC 2460 in 1998. Find and lookup an IPv6 address. Below are the 10 most recently found IPv6 addresses which are used to retrieve IPv6 information. 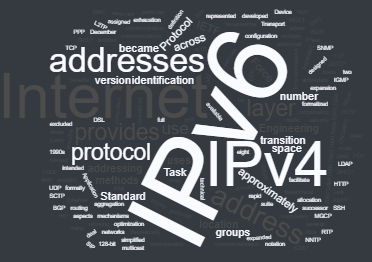 FindIPv6.com is a complete set of IPv6 and IPv4 tools and convertors. You can convert from IPv4, expand, minimize any IPv6 address on FindIPv6.